Last week, there was a lot of press around a possible ‘Microsoft Office’ for the iPad. Microsoft said they had no announcement but they didn’t deny anything either. 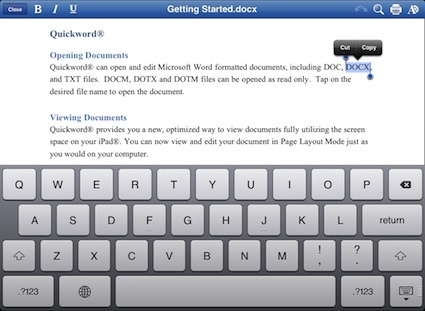 People are getting excited about taking their Office documents with them on the iPad. This is interesting for us because we have been… for years! The iPad app is QuickOffice Pro HD. 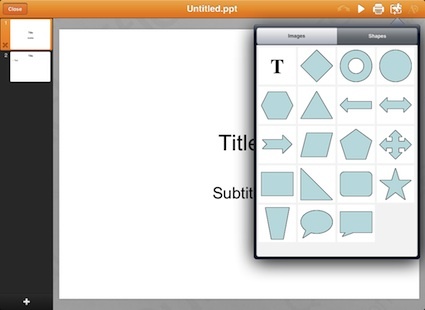 It has worked well for us in the area of creating new Word, Excel and PowerPoint documents right on our iPad. QuickOffice Pro HD also handled PDFs and basic Text documents too. Recently, an update added these formats too! 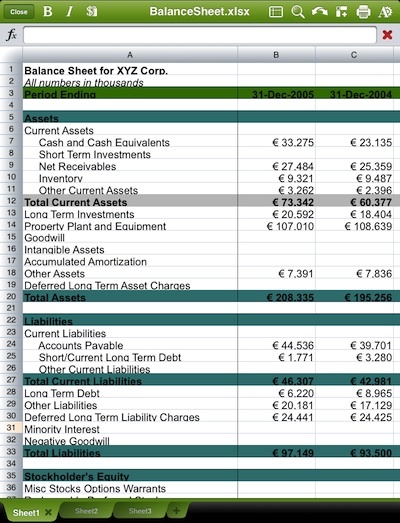 Excel documents can be as robust or simple as you need. Formulas can be used, multi tabs are supported and even the freezing of frames! 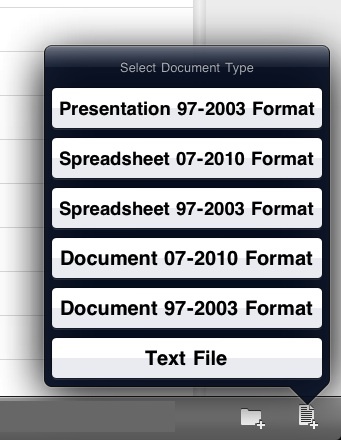 QuickOffice Pro HD lets you create or edit spreadsheets on the go all through your iPad! QuickOffice Pro HD provides a place to create new or edit Word documents. From simple text font changes to numbered lists. The final document can be shared out in the variety of Microsoft Word formats or saved as a PDF. PowerPoints can be created on the iPad too. Slides can contain text, images and design shapes. When your done, share the document or present right from the iPad. There is even a ‘laser pointer’ to help guide viewers through the presentation. QuickOffice Pro HD has all the usual online storage solutions handled too. Each of these cloud services can show up as a folder of files on your iPad. This enable the download, edit and upload to the Cloud storage solution your office might use.